The Delhi High Court has sought reply from the Centre on a PIL seeking to restrain civic body New Delhi Municipal Council(NDMC) from renaming Aurangzeb Road after APJ Abdul Kalam. A bench of Chief Justice G Rohini and Justice Jayant Nath asked Additional Solicitor General Sanjay Jain to inform it whether any guidelines are to be followed for renaming roads. "We only need information with regard to any guidelines mandatory for such changes. File affidavit before September 22," the bench said, while clarifying that it is not issuing any notice. The bench further clarified that it is not issuing notice any notice. The court sought the response after the ASG submitted that the guidelines are advisory but not mandatory as far as nomenclature is concerned. Moreover, the ASG said, "In the present issue the change in name of the road is done keeping in mind the national figure. NDMC has unlimited power to make such changes." During the hearing, the court posed a query to petitioner advocate Shahid Ali, who had alleged that the decision was the outcome of "sick and communal politics" and "lacks understanding of history". 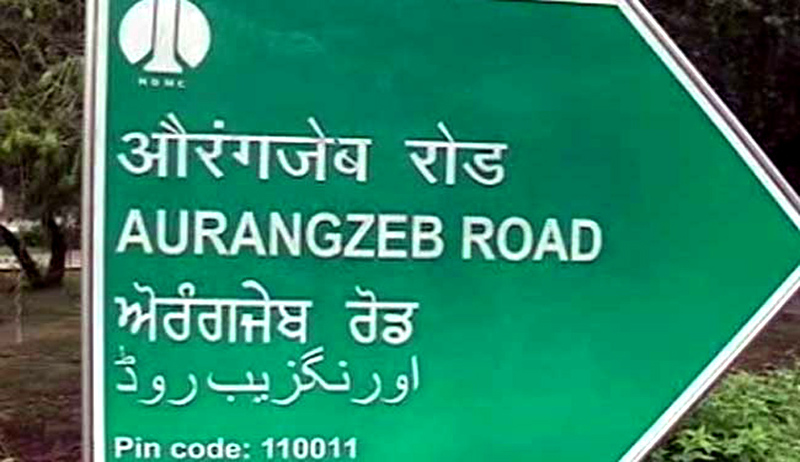 The petitioner, assisted by advocate Wasim Alam, said in the plea, "NDMC in utter violation of law and procedure, instead of naming a new road in memory of late APJ Abdul Kalam has renamed an historical road known as Aurangzeb Road to be known as APJ Abdul Kalam Road. "Pertinently, the guidelines for naming/renaming of roads, streets, villages, towns and installation of statues/memorials to be followed by State Names Authority, Delhi, provide that the name of existing streets, road etc will normally not be changed. Only new streets, roads etc will be considered for being named after eminent personalities. "Names which are part of history will not be altered. All proposals for renaming will be referred to the Ministry of Home Affairs in accordance with instructions in letter dated September 27, 1975," it said. The PIL said the "act of altering the historical name was nothing but an outcome of sick and communal politics, which should not be allowed to have any place in India which homes thousand religious, cultural, social and political beliefs". The request to change the name of the road, made by BJP MPs Mahesh Giri, Meenakshi Lekhi and the trade wing secretary of Aam Aadmi Party, was recognized as valid by New Delhi Municipal Council (NDMC) on August 28.